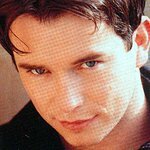 Stephen Gately was a singer for boy band Boyzone. He was an ambassador for Missing People and Caudwell Children. He died in October, 2009. Stephen Gately has passed away, but we remember his charity work. Google trends for "Stephen Gately"
We don't have any videos related to Stephen Gately.